Anemia is considered the most common blood disease in the U.S., says women’s healthcare expert Marla Ahlgrimm. Women who use intrauterine birth control devices may have a greater risk of developing anemia. So what exactly is anemia and how does diet play a role in preventing this fatigue-inducing condition? Anemia is caused by a reduced amount of hemoglobin in the blood. 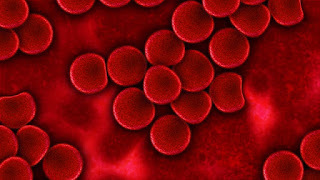 Hemoglobin is the protein that gives blood its recognizable red color and also carries oxygen throughout the body. According to Marla Ahlgrimm, low levels of hemoglobin can trigger anemia, which is most common in women and those with chronic health conditions. Women who experience heavy bleeding each month during their menstrual cycles may suffer from the effects of anemia. These include extreme fatigue, headaches, pale skin, lower than normal body temperature, and irritability. Marla Ahlgrimm says these symptoms may be mild at first but, if left unchecked, can have a profound effect on a woman’s ability to function at work, school, or home. There are numerous types of anemia, the most common being Iron Deficiency Anemia (IDA). Women are especially prone to IDA during menopause, after childbirth, and when living with undiagnosed uterine polyps, which tend to bleed slowly. Heavy periods may also cause a woman to feel fatigued as her body loses more red blood cells than it can recover, says Marla Ahlgrimm. Anemia may also be brought on by vitamin deficiency, underlying disease, or hereditary disorders. The best way to prevent anemia is to eat a diet rich in iron, folic acid, and B12. Marla Ahlgrimm suggests iron fortified cereals and whole foods such as leafy green vegetables and fish. Dried fruit is an excellent source of iron that can be packed easily for an on-the-go snack. Women whose anemia requires medical attention and those with active periods taking hormone therapy for menopause may also be prescribed iron supplements.